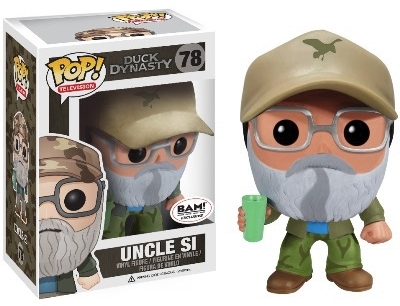 Now, look here, the crew from Louisiana get stylized with Funko Pop Duck Dynasty. 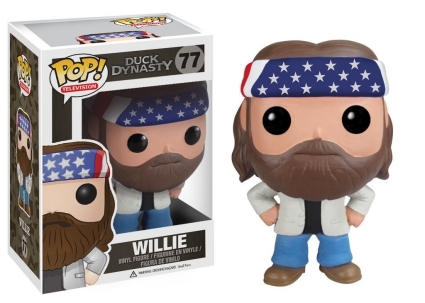 The small set features several Robertson men from the hit A&E series. Making a splash on the small screen in 2012, the West Monroe family gave audiences a small peek into their normal, everyday lives—at least as normal as a day can be with Uncle Si. I guess being CEO of Duck Commander has its perks since Willie and his star-spangled headband lead the pack. 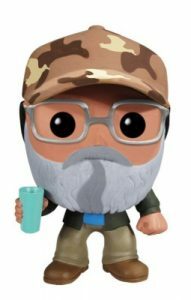 Shop for Funko Duck Dynasty Figures on Amazon. Of course, we all know who the real star of the show is...Uncle Si! 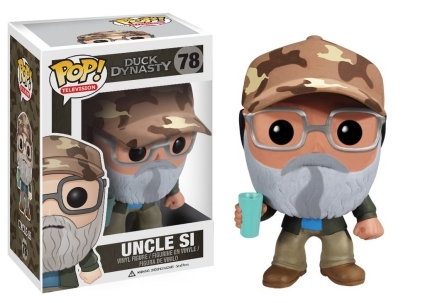 Clearly, Funko knows that, too, since the retired Army veteran has a main figure along with two exclusives, each holding the famous turquoise plastic cup. 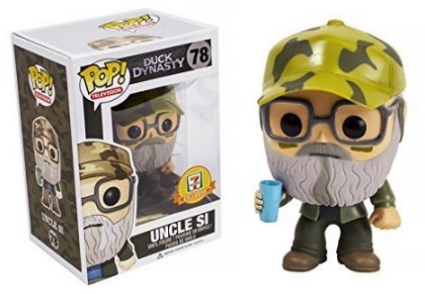 Uncle Si wearing a green camo hat is issued through 7-Eleven, while the Books-a-Million option features the rapping (oh, yes, he raps!) reed maker in a Duck Commander hat and green camo pants. 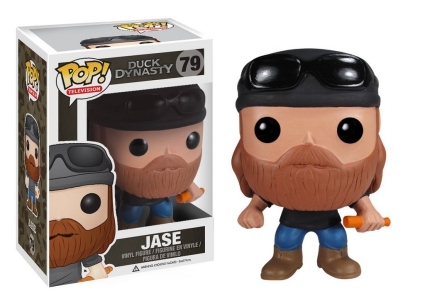 Professional skip-work-to-go-hunting COO and Willie's younger brother, Jase stands with sunglasses on top of his black bandana while grasping an orange duck call—one that he most likely invented. 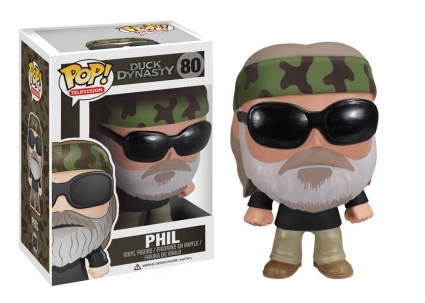 Although he's the president of the company, not to mention he founded Duck Commander in 1972, Phil rounds out the Funko Pop Duck Dynasty list rocking a fabulous gray beard to go with his dark shades and camo band. 78 Uncle Si Green Camo Pants - BAM! 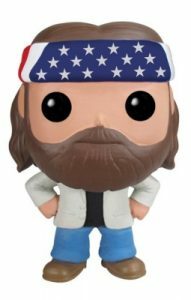 NEW IN ORIGINAL BOX COLLECTIBLE FUNKO POP ANIMATION DUCK DYNASTY 77 "WILLIE"
NEW IN ORIGINAL BOX COLLECTIBLE FUNKO POP TELEVISION DUCK DYNASTY 79 "JASE"